Thanks to my Italian heritage, I’ve had a long-standing appreciation for the intricacies of food. For Italian families, our daily routine is determined by what meals we’ll eat that day. 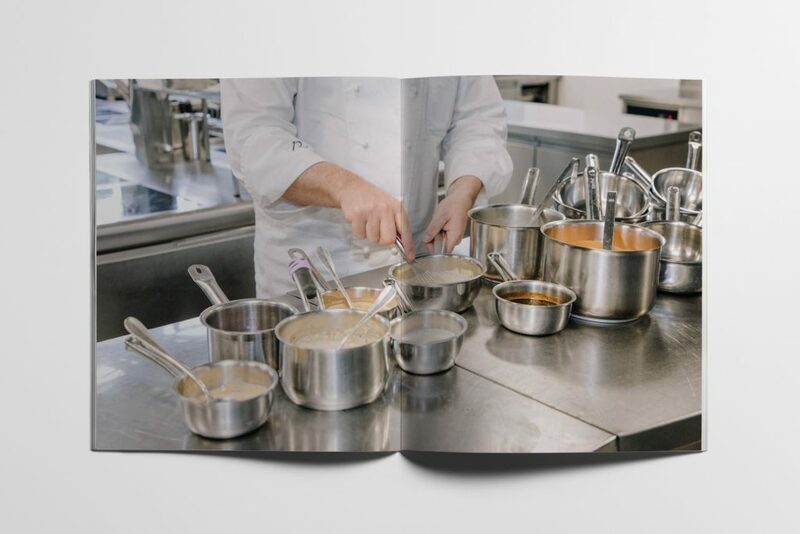 Having a reliable cookbook in the home is key to ensuring these routines run smoothly. 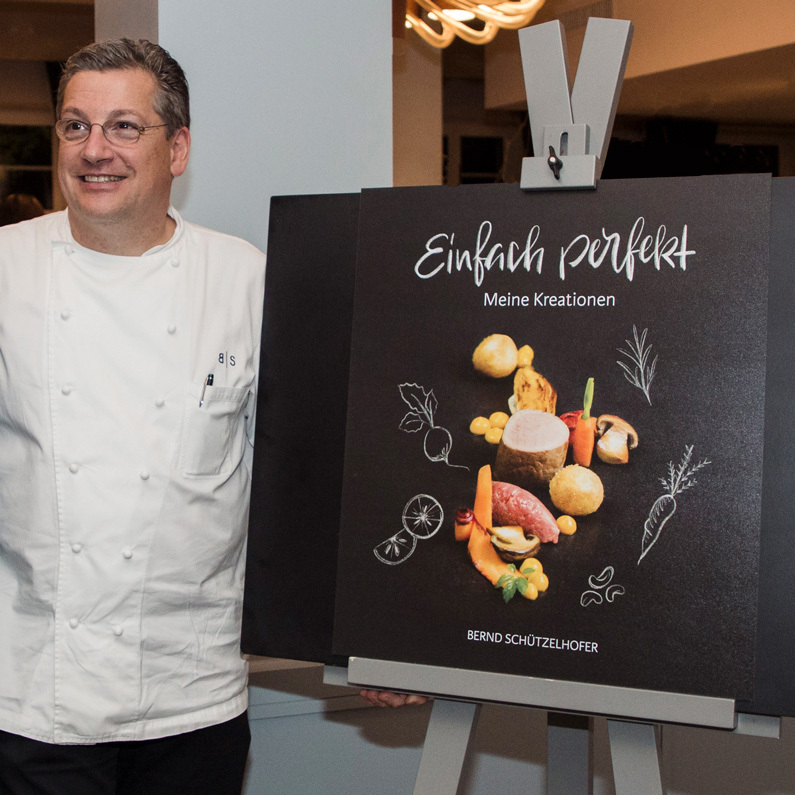 The cookbook’s star is gourmet chef Bernd Schützelhofer, who runs the restaurant Paul’s in Switzerland. 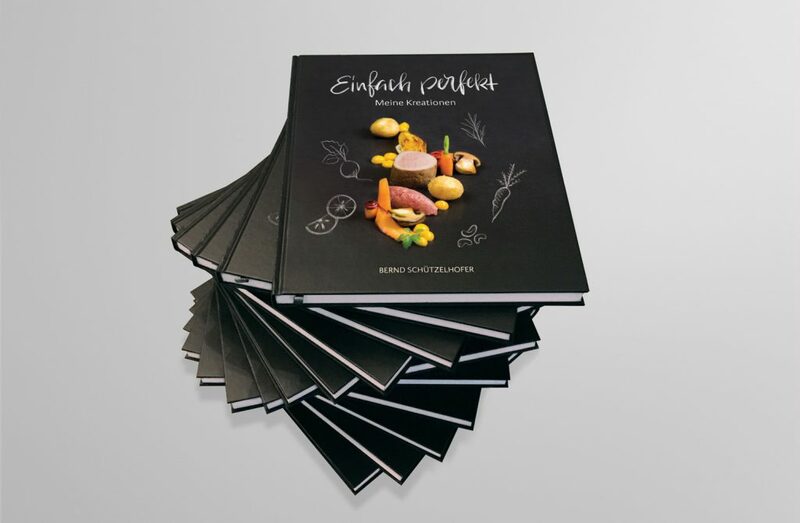 With this cookbook Einfach Perfekt (“Simply Perfect”), Schützelhofer grants—for the first time—comprehensive insights into his kitchen and presents selected favorite recipes for cooking at home. 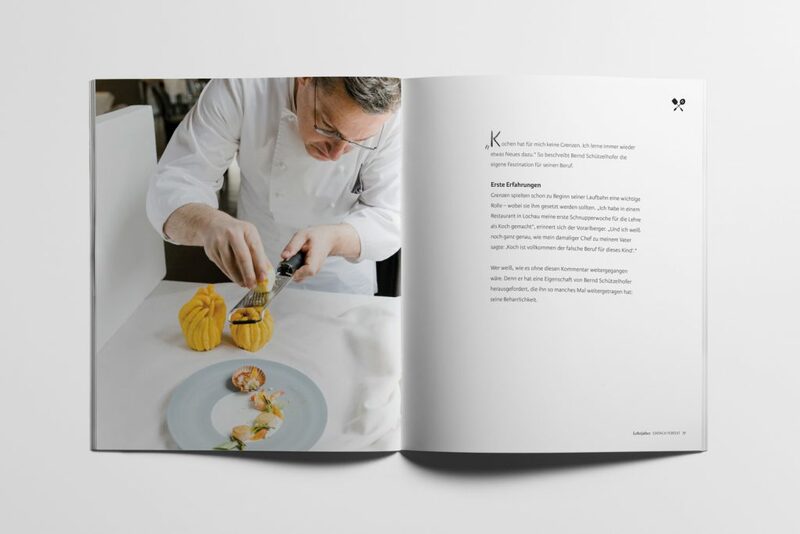 Throughout the book, readers learn the personal stories and backgrounds that influenced his culinary art. 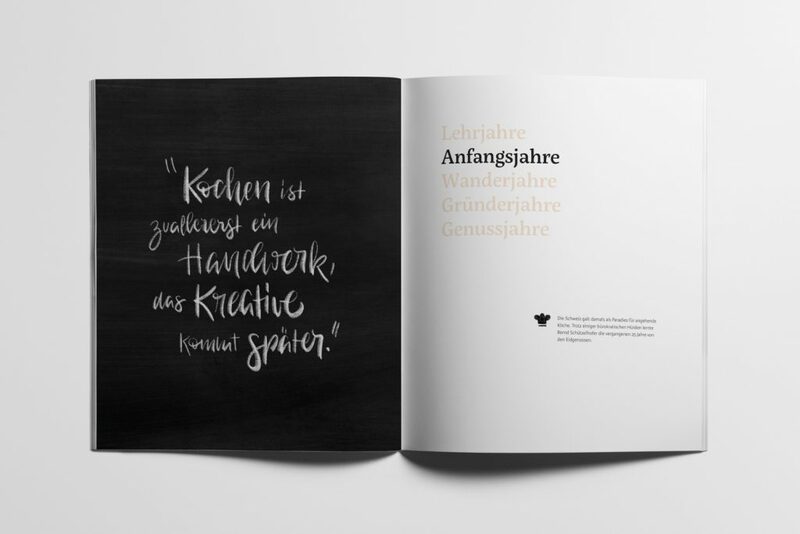 For this project, I was proud to work with the amazing people at the agency CONTUR, as well as talented photographer Lisa Dünser. 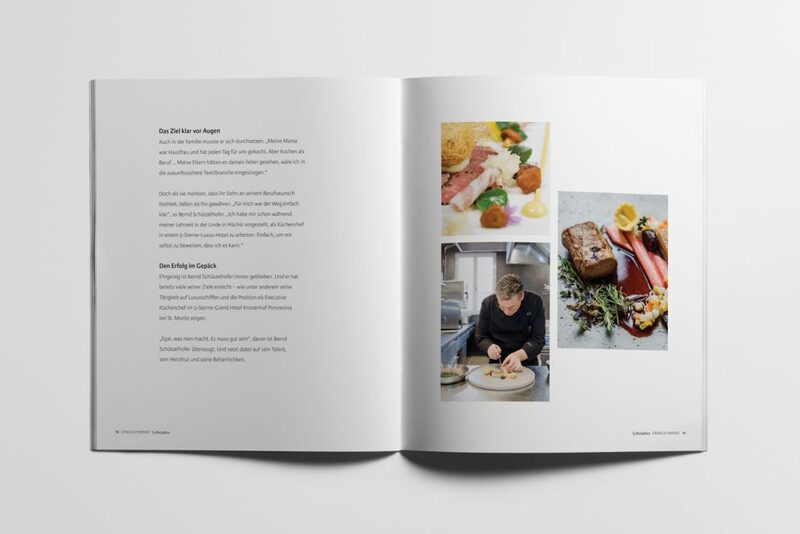 We worked together as a team for over a year to produce this cookbook design, and the experience was pure joy and a lot of fun. 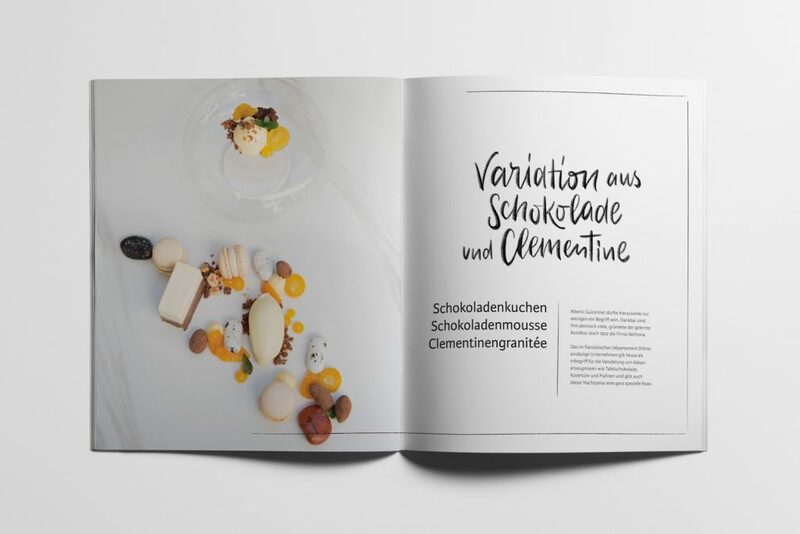 Schützelhofer’s cuisine is very detail-oriented. 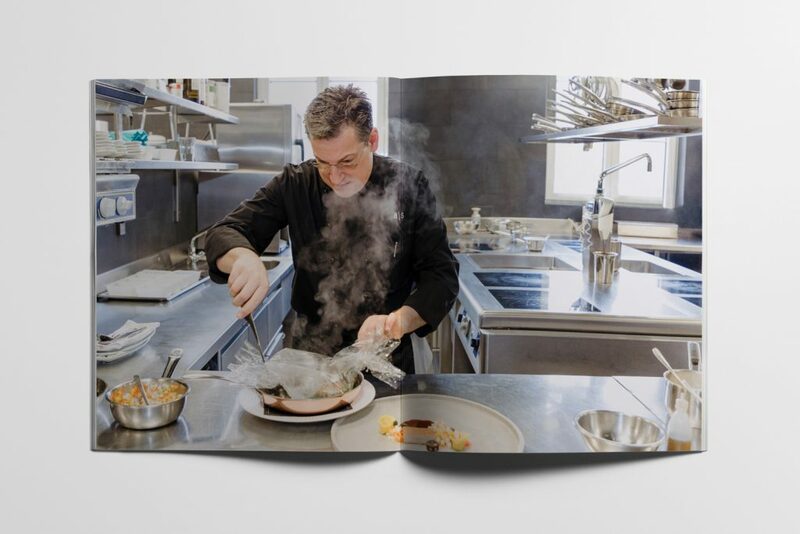 You can definitely taste the passion that he brings to each and every one of his recipes. 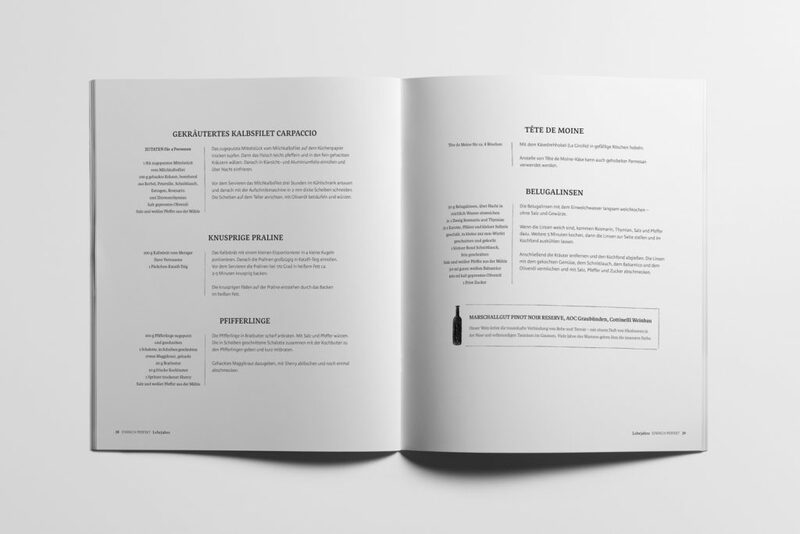 I wanted to mirror Schützelhofer’s love for detail in the cookbook design. To accomplish this, I created a multitude of hand-drawn illustrations to adorn the pages of the book. Hand-lettering is my hobby, and I try to weave it into my projects so that I can do more of what I love. The fonts and icons you’ll see here are not designs that can be used by anyone else. They are created from scratch and totally unique. In this section, I’d like to walk you through some of my hand-drawn illustrations. To start, I decided to use a chalkboard background to reflect the local and fresh ingredients that the chef uses in his kitchen. There is also an icon associated with each chapter. So much love went into drawing these icons! You can’t get them simply by sending a command to inDesign. I included the icons on each page of the associated chapter as well. I also drew the first letter (the drop capital) at the beginning of each chapter. 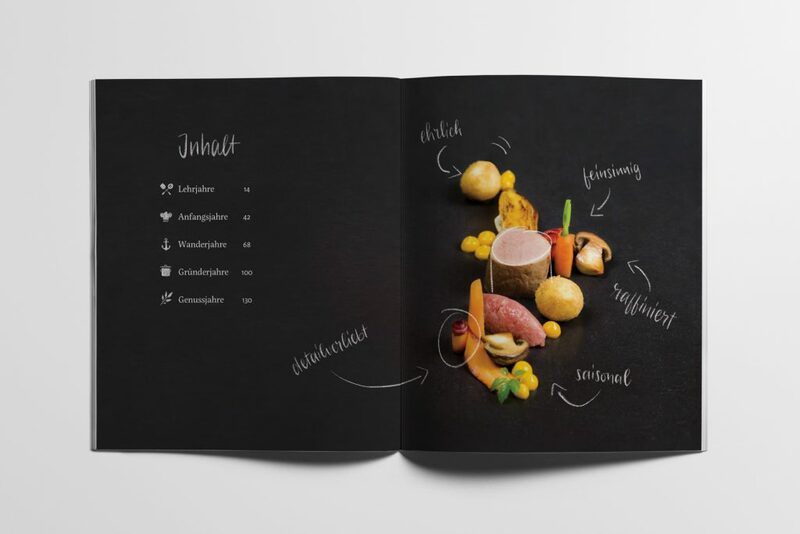 These subtle details throughout the cookbook design give it a unique and personalized character. When I say “detail-oriented,” I really mean it! I put so much work into the detailing. 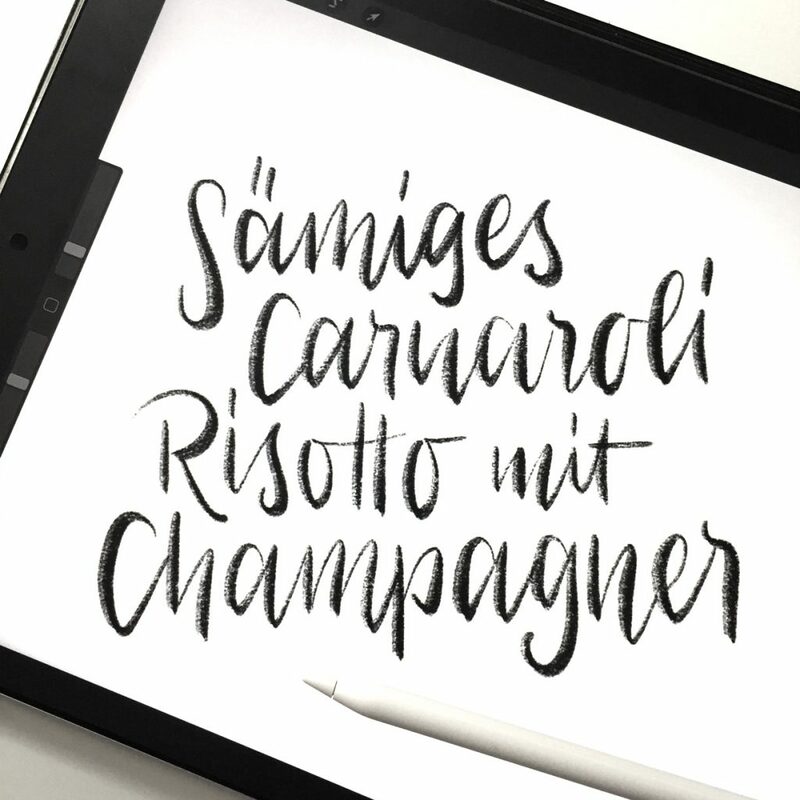 Every line, every arrow, every info box, every fruit or vegetable… all hand-drawn by me. 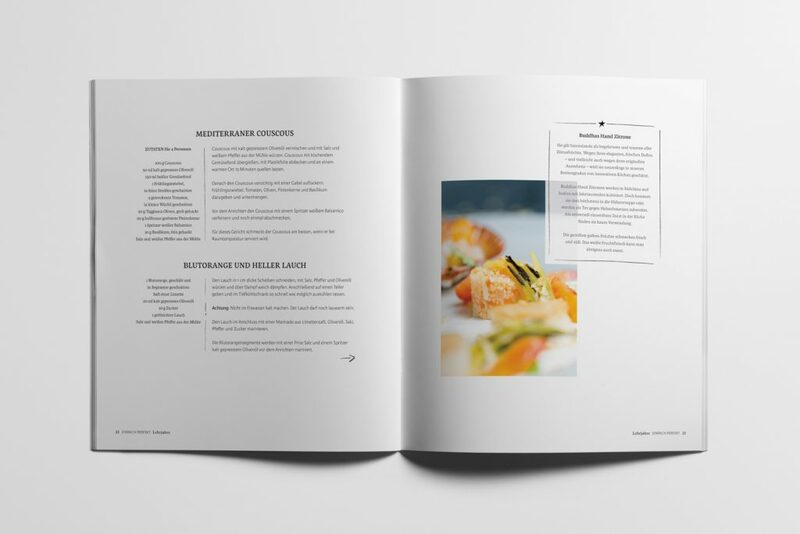 The cookbook is 172 pages long and includes 22 recipes. There are a great mix of starters, main dishes and desserts that readers can try at home. In this section, I’d like to walk you through some of my favorite spreads from the book! On the right-hand side, the name of the current chapter is emphasized, and the chapter’s icon is introduced further down the page. 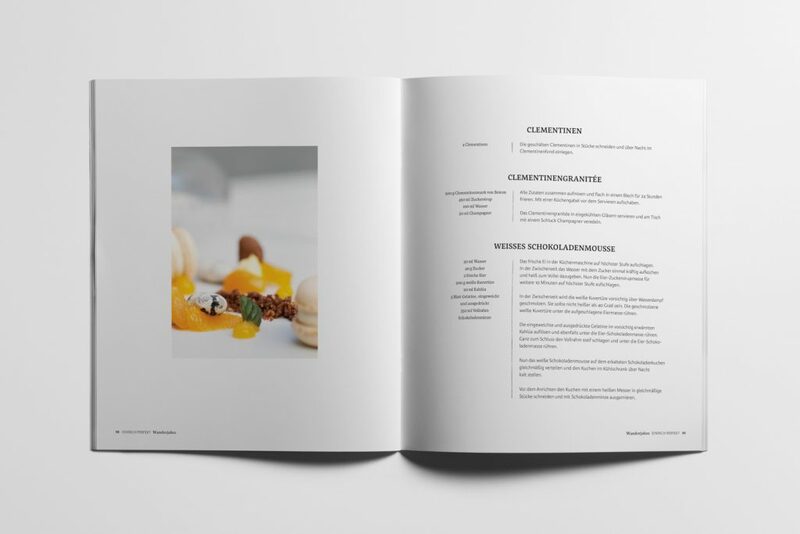 How Do You Print A Cookbook? 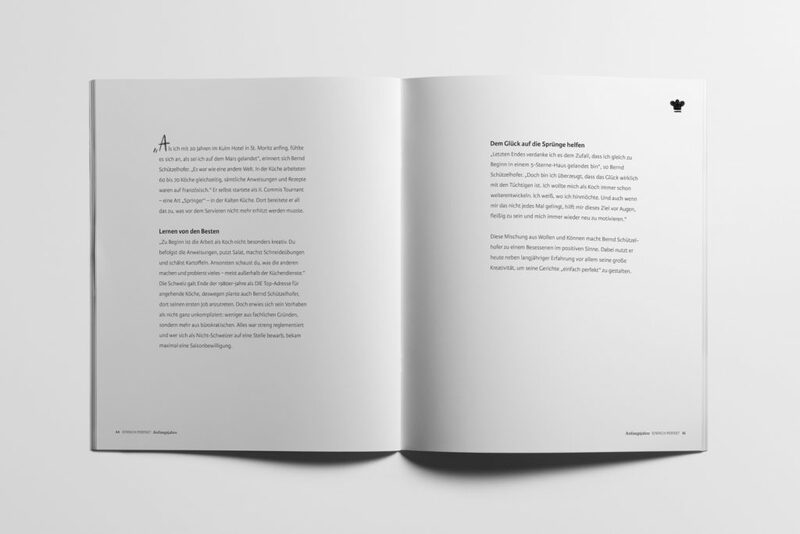 Producing any type of large publication requires close collaboration with a printer. Together, you’ll decide which paper best fits your project and discuss any possible printing finishes. 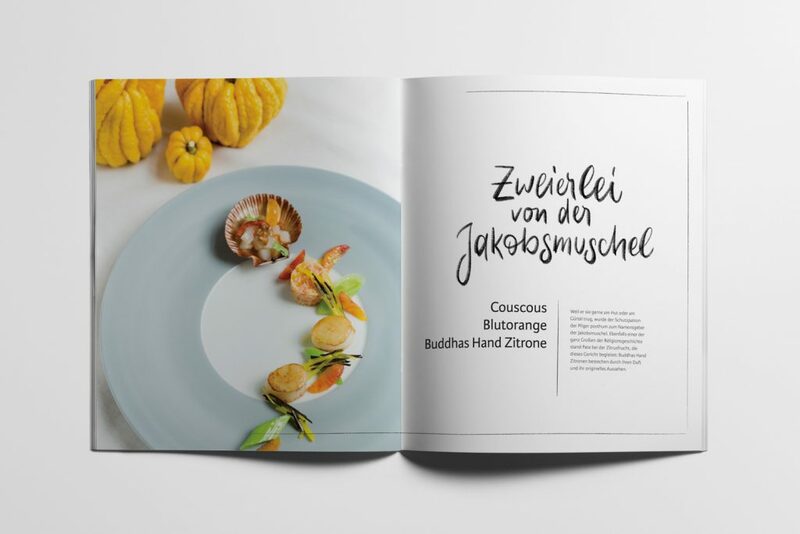 For this project, chef Schützelhofer himself went to approve the colors and make sure everything looked good! 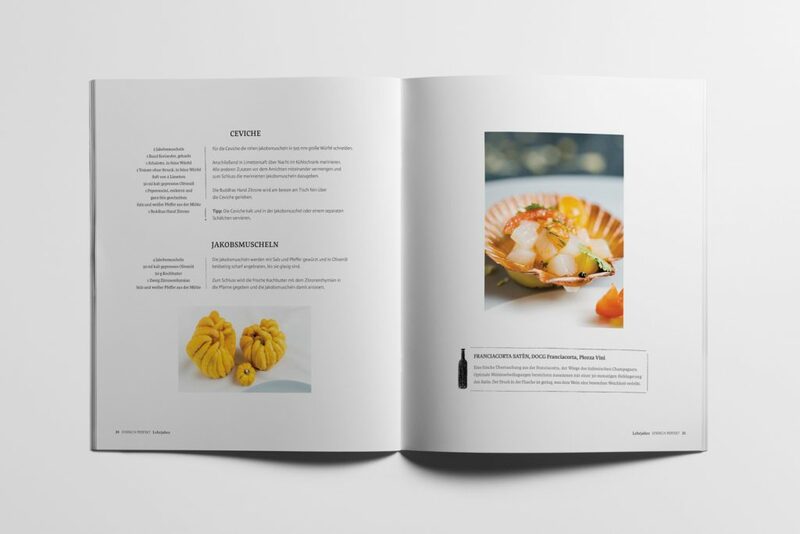 Here are a few images from the press check of the cookbook design. Since I wasn’t able to be in Germany during the time of the printing, the agency team graciously took care of everything. One of my favorite parts of working with clients is being able to give them something they didn’t know they needed. Most clients come to me looking for a logo, but many of them don’t know that there’s so much more to their brand than just a logo design! 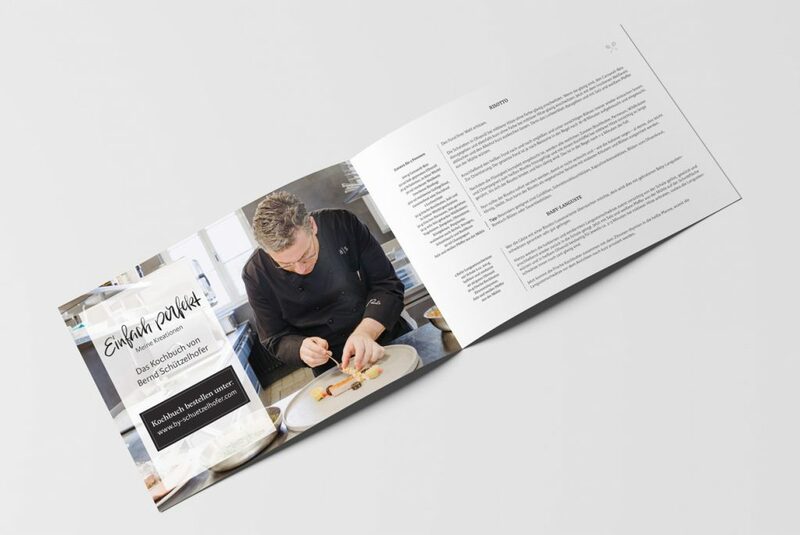 Depending on the type of business, a client could need a website, business cards, information leaflets, stickers… The list goes on! 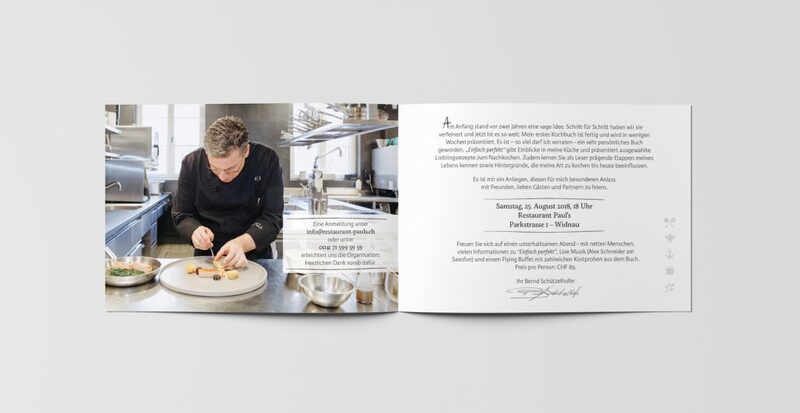 For this project, in working closely with the agency, it was discovered that invitation cards and recipe cards would be needed for the cookbook’s first presentation event. I was happy to include these designs in the final project as well! 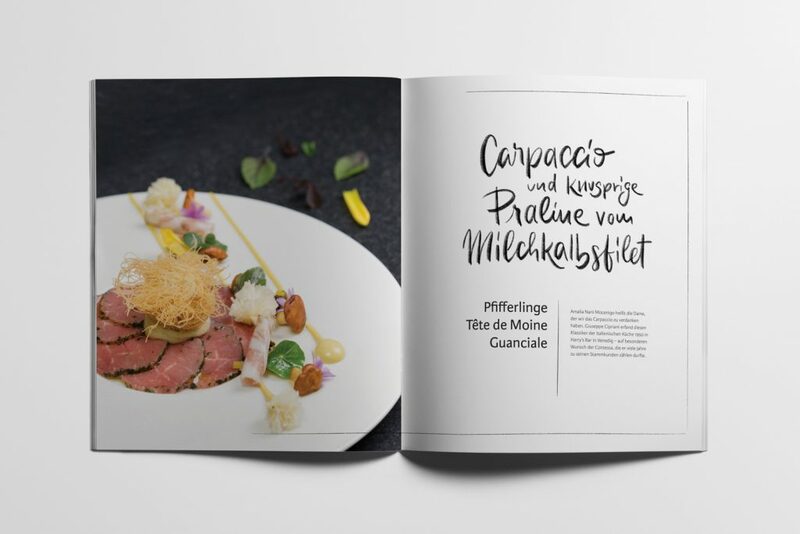 The first book presentation took place in Schützelhofer’s restaurant in Switzerland. 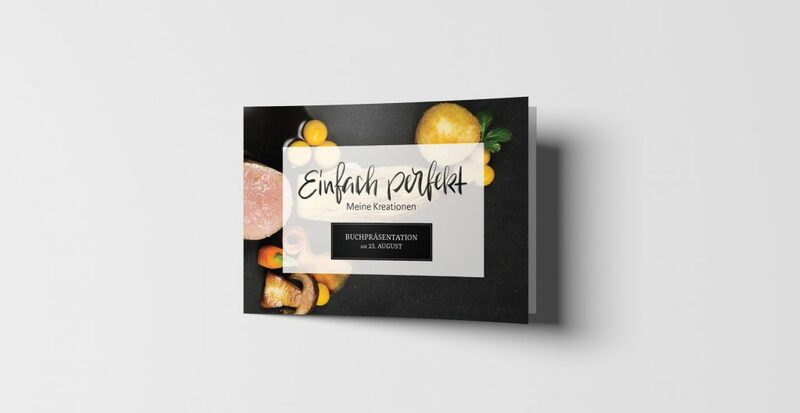 I created the invitations for this special event in the form of a bi-fold card. 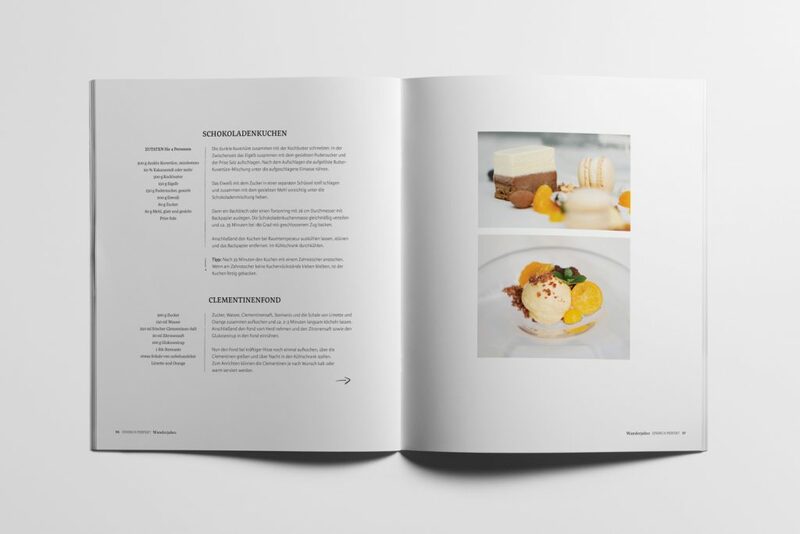 Invited guests and partners got a sneak peek at the cookbook, and even enjoyed samples of its recipes! Guests also received a special present: a wooden spoon with a recipe card attached to it. I adapted the design from one of the book’s recipes. We blew up the cover of the book to make a bold statement at the book presentation events. If you’re ready to get started on finding a fresh and unique design for your brand, then click below to book your free design consultation!